In this study, a theoretical study has been evaluated in order to calculate and optimize diesel engine brake thermal efficiency values. In the study three main parameters which are compression ratio, ratio of specific heat and cut-off ratio, based on ideal diesel cycle were evaluated. Compression ratio, ratio of specific heats and cut-off ratios were chosen between the interval of; 12:1-24:1, 1,2-1,4 and 1,5-3,0, respectively. Theoretical study showed that compression ratio significantly affects the engine characteristics that calculated in this study. Experiments revealed that the higher compression ratio results with higher brake thermal efficiency (BTHE) and thus lower specific fuel consumption (SFC). The calculation study showed that increasing cut-off ratio caused to decrease of brake thermal efficiency. Also, study revealed that increment of ratio of specific heats improved brake thermal efficiency. Amarnath, H.K., Prabhakaran, P., “A Study on the Thermal Performance and Emissions of a Variable Compression Ratio Diesel Engine Fuelled with Karanja Biodiesel and the Optimization of Parameters Based on Experimental Data. “International Journal of Green Energy, vol.9:8, pp.841-863,2012. Jindal S, Nandwana B.P., Rathore N.S., Vashistha V., “Experimental investigation of the effect of compression ratio and injection pressure in a direct injection diesel engine running on Jatropha methyl ester.” Applied Thermal Engineering, vol.30,pp. 442-8, 2010. Mohanraj, T., Murugu Mohan Kumar, K., “Operating Characteristics Of A Variable Compression Ratio Engine Using Esterified Tamanu Oil.” International Journal of Green Energy, vol.10:3,pp. 285-301, 2013. Muralidharan,K., Vasudevan, D., “Performance, emission and combustion characteristics of a variable compression ratio engine using methyl esters of waste cooking oil and diesel blends.” Applied Energy, vol.88, pp. 3959-68, 2011. Hoeltgebaum, T., Simoni, R., Martins, D., “Reconfigurability of engines: A kinematic approach to variable compression ratio engine. “Mechanism and Machine Theory, vol.96, pp. 308-22, 2016. Serin H., M. Ozcanli, M.K. Gokce., G. Tuccar “Biodiesel Production From Tea Seed (Camellia Sinensis) Oil and its Blends With Diesel Fuel.” International Journal of Green Energy, vol.10:4, pp.370-7., 2013. Yildizhan, S., Yasar, A., “Performance and Emission Characteristics of Diesel Engine Operating on Biodiesel and Biodiesel Blended with Methanol and Propanol.” International Journal of Scientific and Technological Research, Vol 1, No.1, pp.270-8 2015. Ramadhas A.S., Muraleedharan C., and Jayaraj, S., “Performance and Emission Evaluation of a Diesel Engine Fueled with Methyl Esters of Rubber Seed Oil”, Renewable Energy vol. 30,pp. 1789-1800,2005. Amarnath, H.K., and Prabhakaran P., “A Study on the Thermal Performance and Emissions of a Variable Compression Ratio Diesel Engine Fuelled with Karanja Biodiesel and the Optimization of Parameters Based on Experimental Data. “International Journal of Green Energy, vol.9:8, pp.841-863, 2012. Depnath, B.K., Sahoo, N., and Saha, U.K., “Thermodynamic analysis of a variable compression ratio diesel engine running with palm oil methyl ester. “ Energy running with palm oil methyl ester. Energy Conversion and Management vol.65, pp.147-154. 2012. 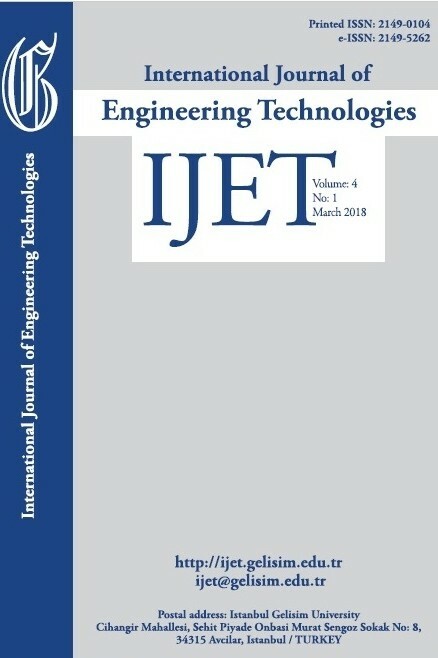 Al Dawody, M.F., and Bhatti, S.K., “Experimental and computational ınvestigations for combustion, performance and emission parameters of a diesel engine fueled with soybean biodiesel-diesel blends. “ Energy Procedia, biodiesel-diesel blends. vol.52,pp. 421-430,2014. Hariram, V., and Shangar, R.V., ‚‘‘Influence of compression ratio on combustion and performance characteristics of direct injection compression ignition engine.“Alexandria Engineering Journal, vol.54:4, pp.807-81,2015. V. Gnanamoorthi , G. Devaradjane “Effect of compression ratio on the performance, combustion and emission of DI diesel engine fueled with ethanol e Diesel blend.” Journal of the Energy Institute,vol.88,pp.19-26,2015.